Needless to say, kitchens are the most important and busiest areas in any home. When remodeling, a crucial factor that makes the project a success is the kitchen design and an essential part of this is the cabinetry. Considered as the building blocks, the cabinets not only bring organization to kitchens but also aesthetic appeal. But browsing through all your choices and deciding on what style to implement in your renovation can be overwhelming. To help you out, this article discusses popular kitchen design and cabinet trends. Popular today are New England kitchens that commonly showcase maple or cherry cabinets. Traditional design come in many different looks but will need to be based on the style of your home. Popular in today's cabinet trends is French Country that embodies welcoming warmth, fine art, and lovely colors of sunny beaches and rustic countryside scenes. Depending on your personal preference you can buy cabinet pieces in rich dark finishes or distressed light colors, or you can have them custom-finished in earthy Tuscan colors such as sage, deep olive green, bluish green, Deep Ocean blue, gold, tan, burnt orange, or deep red. Moldings are also great additions to create a furniture look and country appeal to the cabinetry. To achieve a softer, more feminine design, integrate more natural materials into the remodeling project. Soft contemporary kitchens offer a modern look but with a touch of inviting warmth instead of the industrial high-tech look. Shaker style with recessed panel doors and drawer fronts is the cabinet trend that is popularly used for this kitchen design. 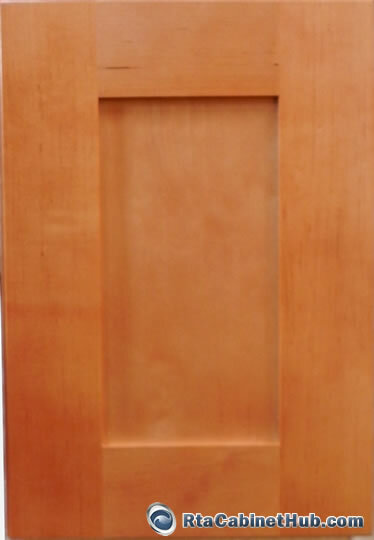 A smooth finish is essential in creating a sleek look thus maple is a great material choice for the cabinets. The charm of the cabinetry and friendly ambiance that it brings will highly rely on the wood grain itself so a clear, light stain is preferable. The even, tight grains create a clean and uncluttered feel and add elegance to interior. 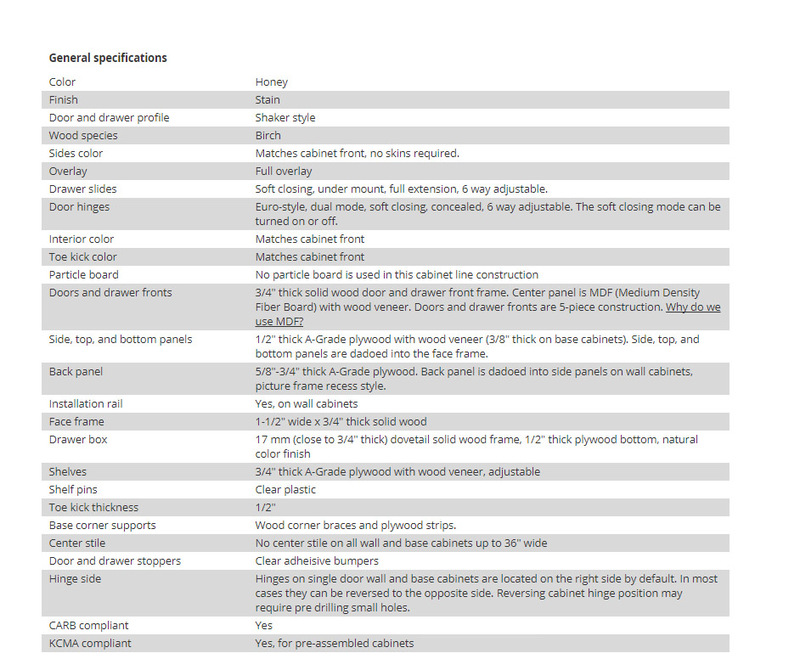 Other additions to consider include stainless steel pulls, touch-and-release latches, glass doors, and matching Shaker moldings. The Old-World kitchen design is a classic that remains a favorite of many homeowners, featuring pre-17th century Europe. Cabinet trends for this type often displays traditional door and drawer front styles with raised panels and miter-corner. Glazed finishes in rich medium-tones to dark browns add a touch of cozy feel to the ambiance and highlight the architecture of the doors. 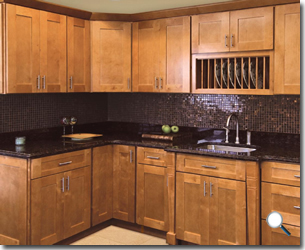 The dark finish also captures an older and more intimate look to the cabinetry. More details and architectural treatments complete the Old-World kitchen design look thus adding moldings, cabinet trims and other elaborate accessories can add to the appeal of the interior. Color scheme tends to be monochromatic with common choices such as neutrals, and earth colors. Popular styles are Mediterranean, Castle, Italian Villa, medieval, Gothic, French Chateau, Dutch cottage, and Normandy cottage. 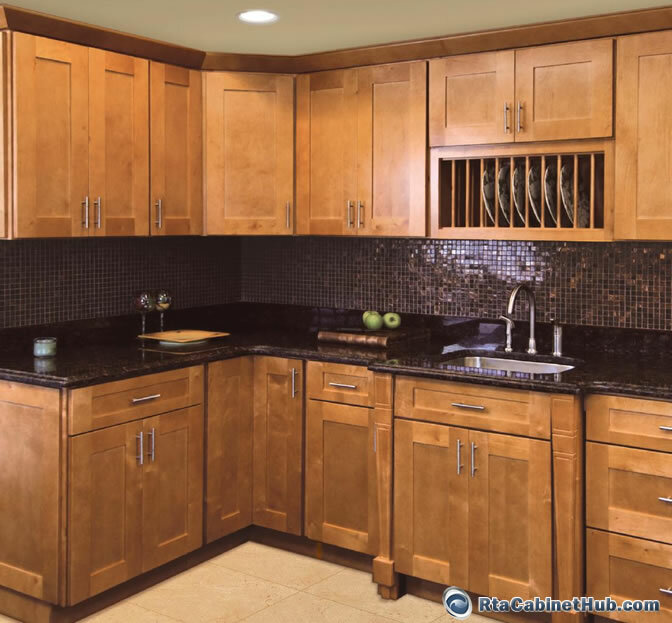 Other notable factors that old world style kitchens brandish includes: stone floors and/or walls, mosaic tiles, furniture-look to the cabinets, and appliances hidden in cabinets or panels. Shakertown product is identical or similar to Shaker Honey, Cinnamon Shaker and Covington Shaker cabinet lines offered by other stores.